We've launched a handful of new tools which allow administrators greater control over their workplace. Allow booking between set hours. 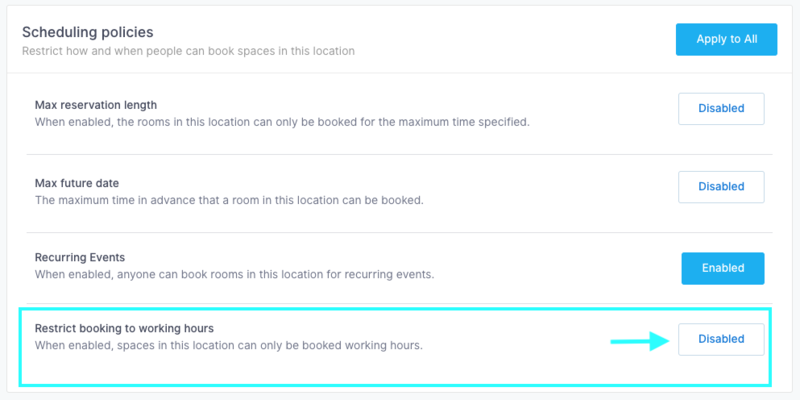 This booking policy may be applied to all spaces within a location, or specific spaces to restrict the hours which they can be booked through Robin's mobile or web apps. Interested in testing out the Roles & Permissions beta? Reach out to your account rep for more information. Ability to modify default roles. Administrators may now override and customize the default permissions for the member, admin, and owner roles. This opens up the possibility to restrict all new users from certain navigation elements or booking within certain locations as soon as they create a Robin account. Hide the People Search feature from the web dashboard and mobile app. The People tab is a directory listing of all of the Robin users within your organization, and is available to all members by default. If you'd prefer to hide this tab for members or users with specific roles on web and mobile, uncheck the box. Hide the Analytics feature from the web dashboard. The analytics tab shows office utilization information, and is available to all members within your organization by default. If you'd prefer to hide this tab for members or users with specific roles, uncheck the box. Hide meeting details from the web dashboard. 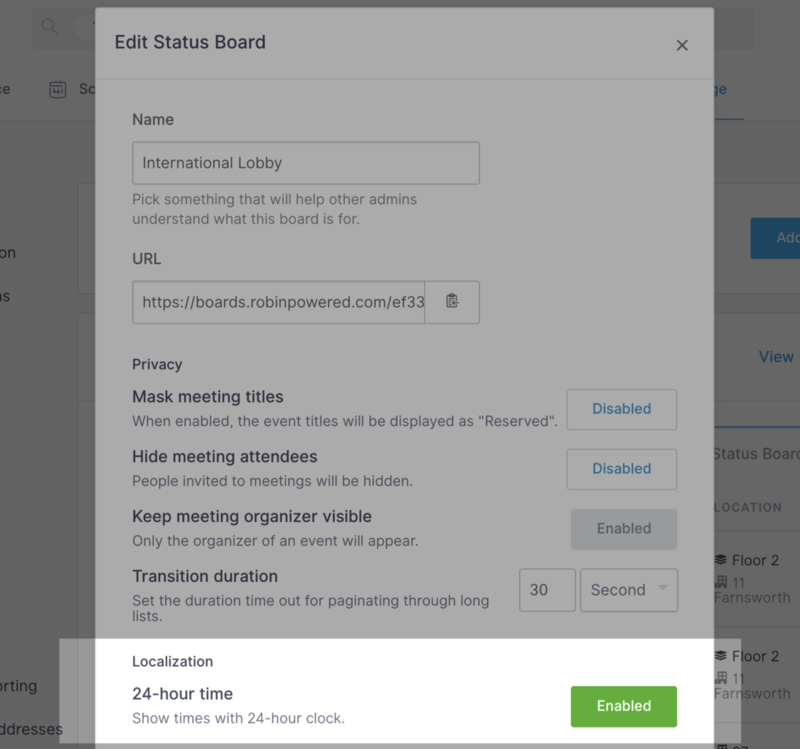 This privacy-focused feature will mask meeting details for any meetings the user isn't participating in as an organizer or invitee. 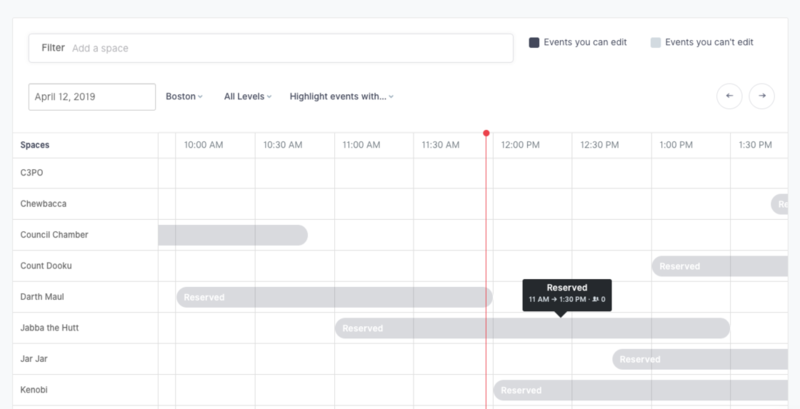 From the schedule and space overview pages, events will show as "Reserved." Administrators will still be able to see all details. Looking to manage privacy settings for display apps like Rooms or the Status Board? Read more. Organizations that have added desks to their maps in Robin, can now see them on interactive kiosks. Folks in the office have more visibility on what resources are available on a floor and see who is sitting at an occupied seat. Tap on an available desk, in green, to see the desk name and its amenities. Tap on an occupied desk, in gray, to see the name of the person currently sitting at the desk. 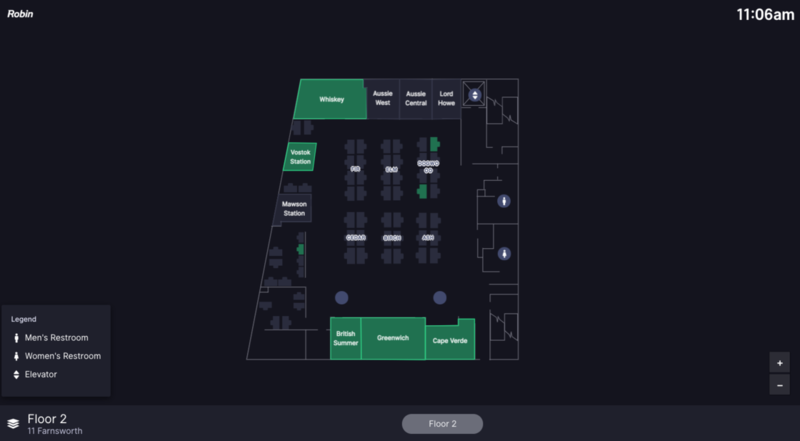 Facilities and real estate teams can now get more granular insights into the performance of spaces they manage. Do some spaces have higher recapture rates than others? Which 4-person meeting rooms are used more than others throughout the day? Has utilization increased or decreased over time? Expanded time ranges now show up to six months of historical data to help call out changes over time and seasonal trends. The new office insights report answers key questions about how and when people use spaces within your workplace. 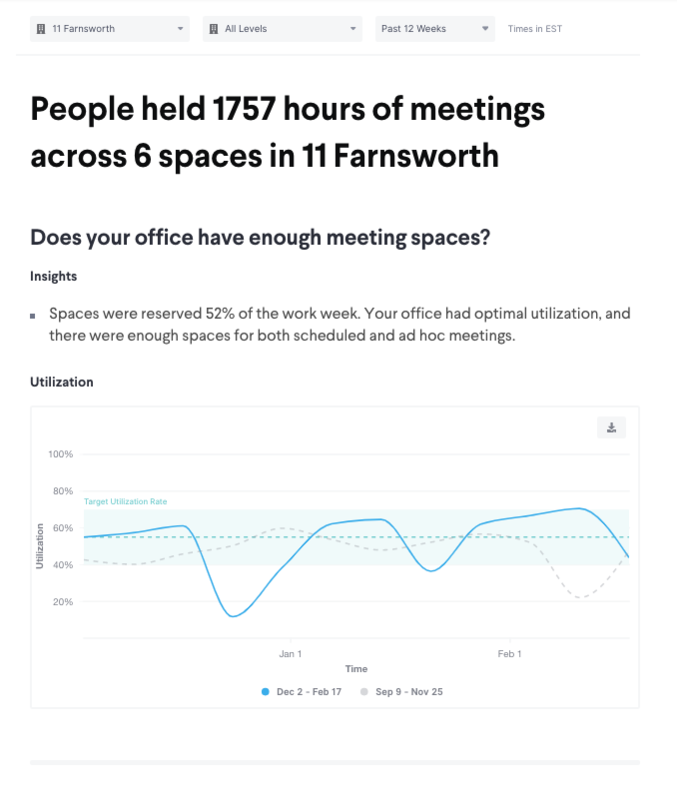 Identify bottlenecks throughout the week, the types of spaces used most frequently, and how your office can maximize existing space by recapturing time from ghost meetings. This report is now available to users from the web dashboard.Navigate to Analytics > Insights to view data for your office, and read more about the specific questions this data can help answer. This new report replaces the Overview page, and data previously found from the overview has moved into this new Insights page or within the weekly utilization email sent to Robin administrators. Insights is still in Beta, which means we're still validating that all data is rendering correctly for all organizations. You can expect to see the number of data points and opportunities to segment your data grow over the coming months as Robin answers more questions about your workplace. 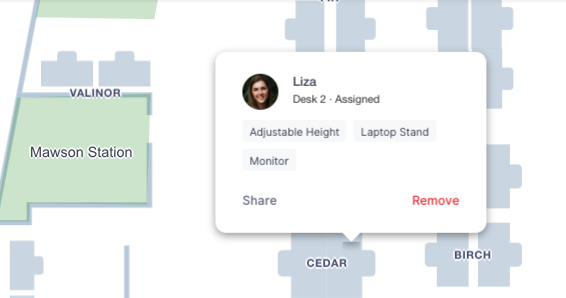 Sometimes the labels for a pod or table of desks don't appear on a map due to things like zoom level, size of the desk group, and length of the name.This leads to users not really knowing what desk they're reserving (unless they have your floor plan memorized). While we work to address the tricky business of scale on a map, we've rolled out a small enhancement sure to make everyone's life a bit easier. 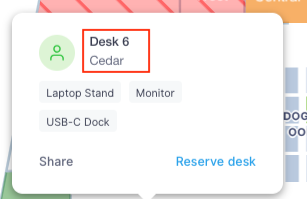 The name of the desk pod or table is now included on the card that pops up when you click on a desk. 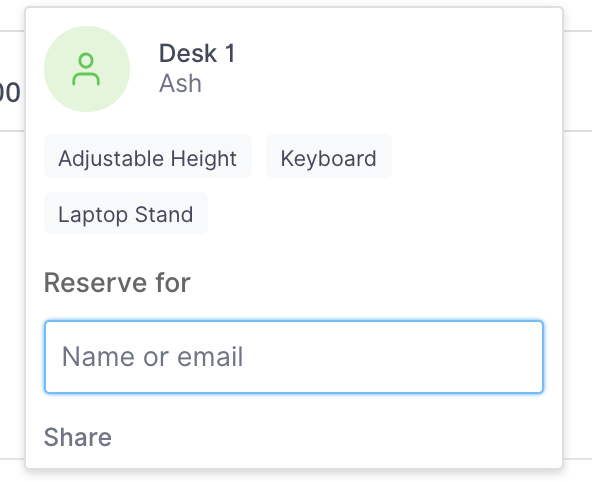 Admins can reserve desks for other people, but until recently, they could only make assigned desk reservations on the behalf of others. Now our user interface supports admins' ability to make hot and hotel desk reservations for others. 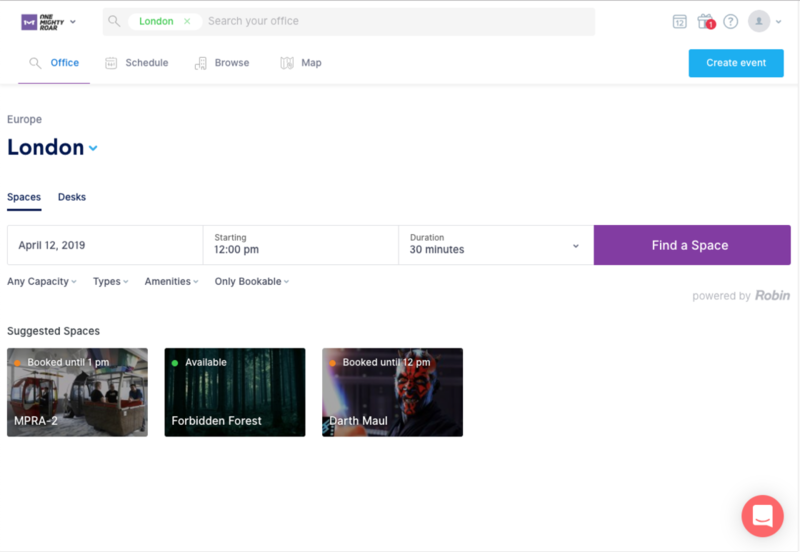 Organizations on Enterprise plans have the option to participate in the beta of our new desk and scheduling permissions. In addition to locking down what group of desks a role can reserve, we now support the "delegate" permission. Roles with this permission can make reservations on other people's behalf. 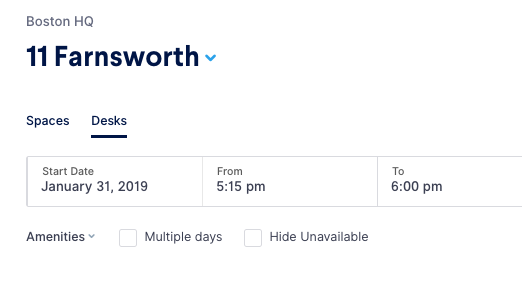 Sometimes you only need a desk for a few hours, now you can easily search and reserve a desk by date and time. Need to find a person in the office? Accounts with maps will be able to link directly from the People search to the map. Go to People in the navigation tab, and enter in a name or email address. To the far right of your results there's a link to help you set up a meeting, or see them on a map if they have an active desk reservation or assigned desk. Clicking Find Liza on map will open the map zoomed in on her desk area. Enterprise and Pro desk accounts can see how their desks are being used by downloading a report from the Analytics section in Dashboard. You can now receive Slack notifications for upcoming meetings, including an option to confirm events in advance. We're on the lookout for folks who live on the edge and are interested in early access to some of the new features we're building here at Robin. Participating in the process at this stage gives you the opportunity to help shape how new features work -- and ensures they're solving the right problems for you and your team out of the gate. Interested in learning more? Fill out this form or reach out to your account manager. Status Board now supports a 24 hour time format, resolving (as we understand) a tense stand-off between international offices debating the existence of 13:00. Our engineering team worked tirelessly to change the ~two~ 14 lines of code required, which admins can change via Manage > Devices > Edit Board > Localization. Surely Robin Powered will start publishing changelogs very soon.